Muddle the jalapeño in the glass of a Boston Shaker. 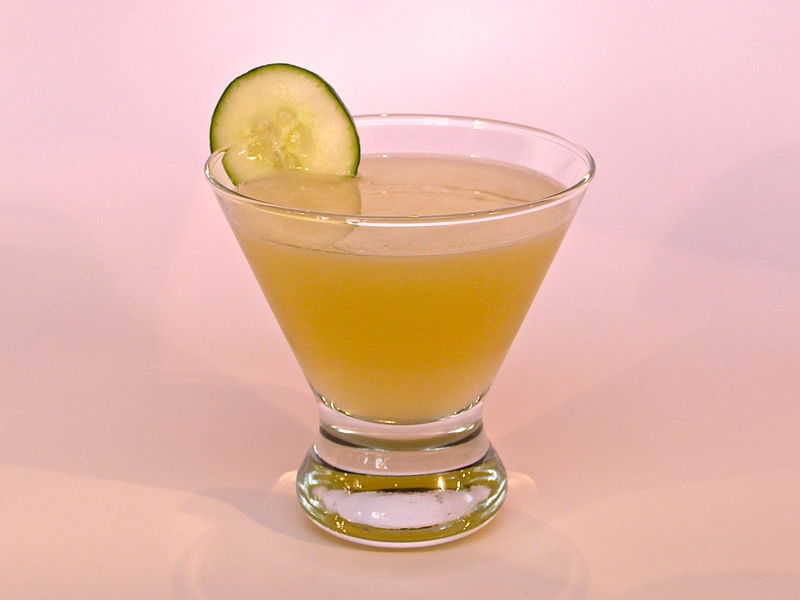 Add the cucumber and muddle to express the juice. Add the remaining ingredients, with ice, and shake vigorously. 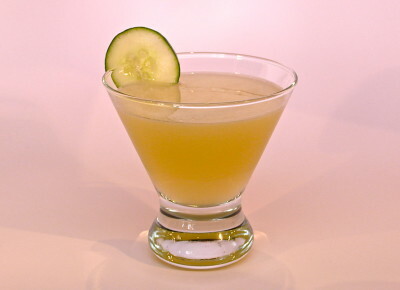 Double strain into a margarita glass and garnish with a cucumber wedge. This wonderful Margarita has a well balanced spiciness, but may still have you shedding a tear or two. Unless, of course, you have Bogorad’s syndrome (aka the Syndrome of Crocodile Tears). In that case, anything that gets you salivating will cause you to cry, and this margarita will certainly get you salivating. Shedding crocodile tears means that you’re faking it – that you’re not truly sad. The expression comes from the ancient Greeks – a story that talks of crocodiles weeping in order to lure their prey (or that they cry for the victims that they are eating). 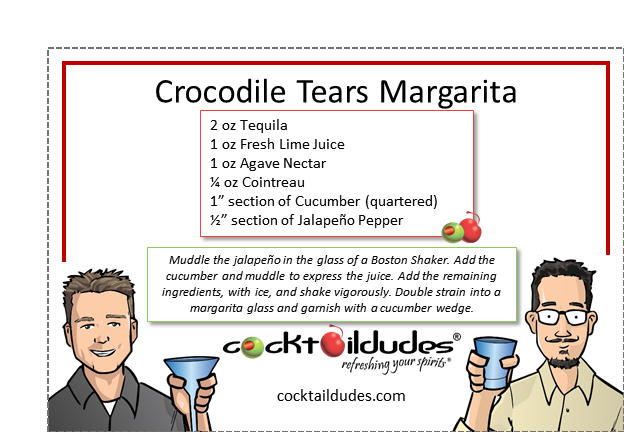 In fact, crocodiles do not produce tears, but the tart, sweet, and spiciness of this margarita will have you producing a tear or two right before the cucumber cools you down. Enjoy!